Did HTC DROID DNA get quietly retired by Verizon Wireless? It appears that Verizon Wireless has quietly ceased offering the HTC DROID DNA - the wireless provider's current Android top dog. The smartphone is no longer available for purchase from the carrier's online store and has been dubbed as retired by Verizon's sales reps. 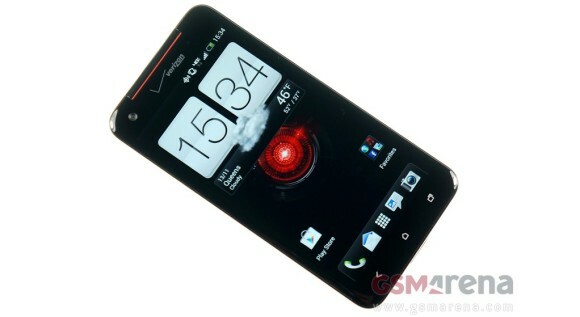 According to a statement from Verizon "HTC halted production in efforts to push out an upcoming project on the horizon". The "upcoming project" part probably refers to a smartphone which will be closely related to the HTC One. If the reports turn out to be the case, the HTC DROID DNA will go down in the record books as one of the company’s shortest-lived Android flagships. The HTC Butterfly's US relative was launched less than five months ago. I just got back from the Verizon store 6-12-13 and they still had it. Im not sure weather or not to get this phone or the S4. Just went to vzw.com and it's still there for sale. BTW I have the Droid DNA and have had no trouble with use and activations. As a former VZW tech support rep it has been my fave so far. Over the Samsung S3 and the Droid Razr HD.